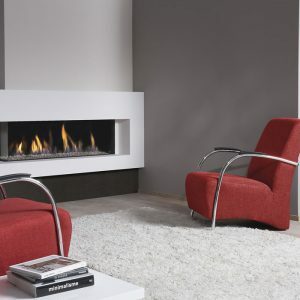 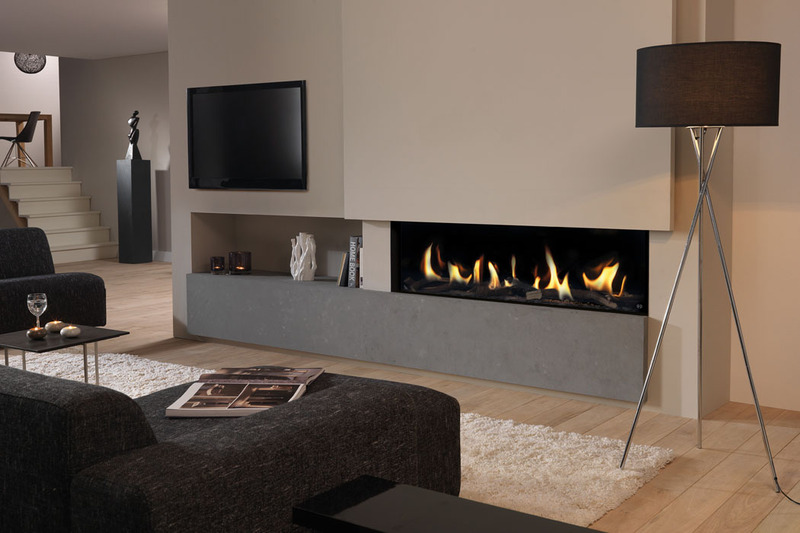 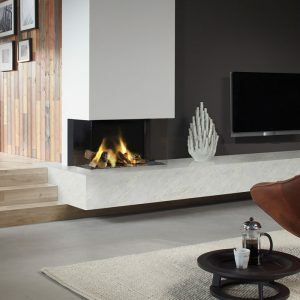 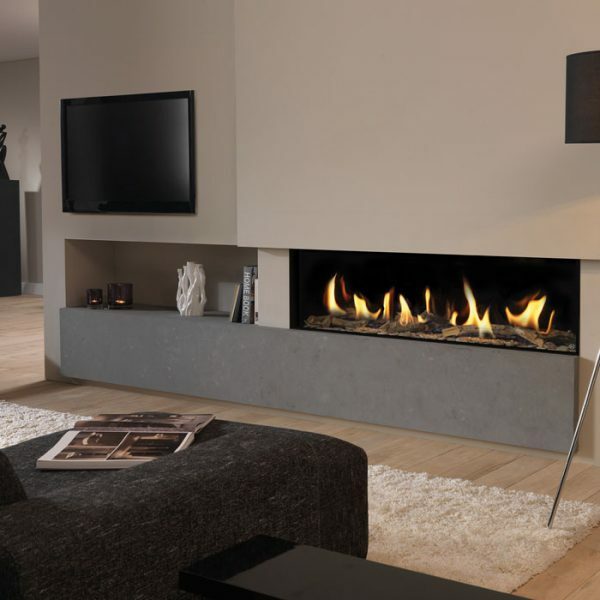 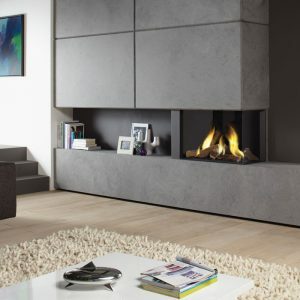 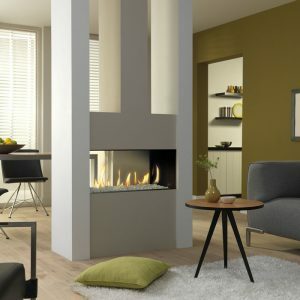 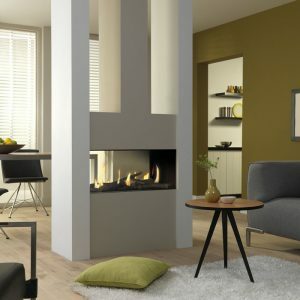 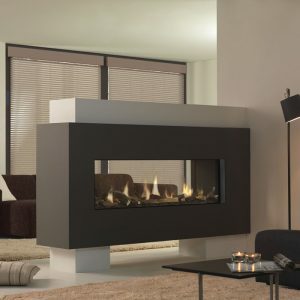 The Metro 150XT is 1.5 metres wide and features a fire bed of beautiful logs set off by a border of white stones. 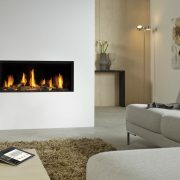 The interior is in mirrored Ceraglass, creating added visual depth to the flame picture. 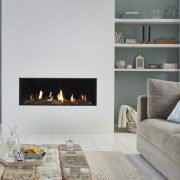 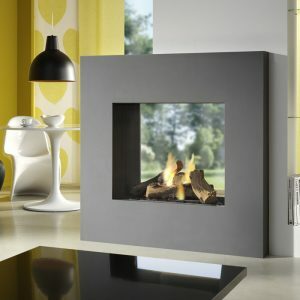 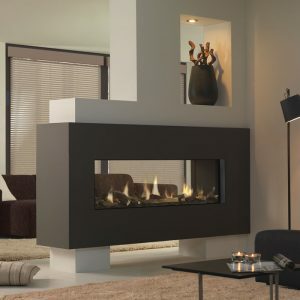 It has a generous heat output of 10.8 kW with an impressive efficiency rating of 78%, far superior to ordinary gas fires. 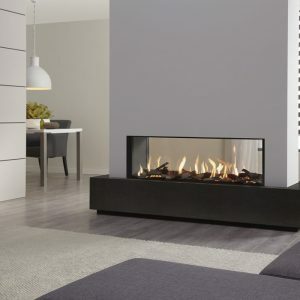 The fire requires connection to a 240v power supply and is Powervent compatible.